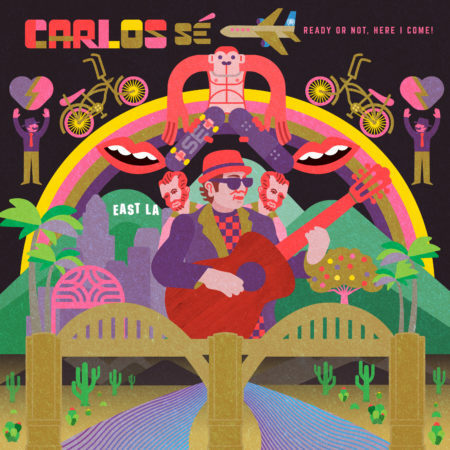 Carlos Sé, a friendly East LA roquero singer/songwriter with a light touch on the guitar and a knack for clever penetrating lyrics, handed me a copy of his debut EP Ready or Not, Here I Come a few weeks ago at a Dia de los Muertos event and I am still playing it. The EP’s six songs are easy to listen to and quickly get under your skin. 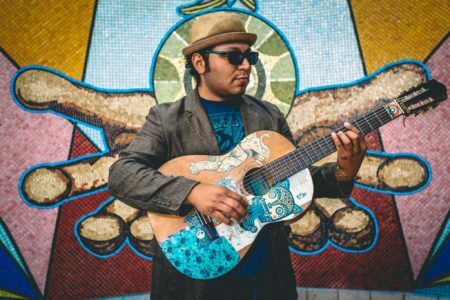 Playing a blend of reggae, rock, and Latino fusion born of the La Maravilla Projects in East LA, Sé artfully pulls the varying styles together as a singular music form – the “Se sound”. Although Each song is different, the tropical/Lationo fusion/reggae rock Sé Sound runs through them all, making them instantly recognizable to his fans. “Asi Lo Quiero” (soundtrack for his animated video) moves with a tropical beat as Sé tells us how he likes life, while “No Quiero Bici” is a harder rock-driven story about the choice of skating vs biking on his path through life. “Van Gogh” moves back to the tropical feel, but the lyrics are delivered with a deadpan, tongue-in-check voice as Sé and his guest musician Professor Galactico wax about many things, including bananas. “Esperame” shifts into pop rock with a solid hook, moved along by Fritz Zar’s excellent drumming. “Mi Probre Corazon” stays with the fast tempo but sparkles with accents from Moises Banqueiro on the Glockenspiel, synth and percussion instruments. The EP wraps up with a big grin of a song, “Negrita”, a danceable, feel-good pop-rock pastel with a serious message. The Sé Sound is the result of a unique and talented band and combination of instruments. Latin percussion, Glockenspiel, keyboard, melodica, trumpet, trombone, bass, sax, drums, electric and acoustic guitars all come together in a sound that is the Sé signature. Nothing else comes close. 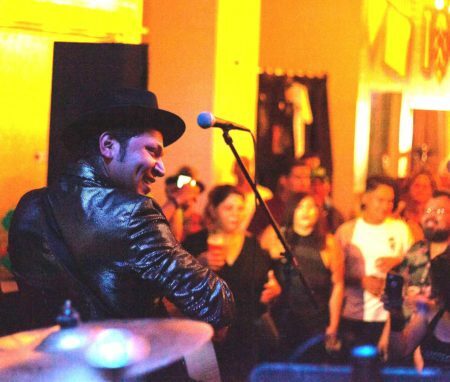 The band consists of Nicholas Curiel on electric guitar and melodica, drums and keys, Joseph Quiones on trumpet and bass, Amanda Campos on sax, David Campos on bass, Estaban Flores Valenzuela on keys and Albert Alexander on electric guitar, and Moises Banqueiro and Nicolas Curiel who co-produced with , Carlos Camacho. The album was recorded at South Central LA’s L.A. Collective Studios. Ready Or Not, Here I Come is a great introduction to the music of Carlos Sé. I can hardly wait for more of the Sé Sound. Patrick O’Heffernan - Host, MUSIC FridayLive!